Protein powders rank among the most popular supplements to help you lose weight. Protein powder not only supports weight loss, but will help fuel an active life; speed up your recovery time after exercise; builds, repairs, and protects muscles; decreases inflammation; improves metabolic health; and potentially reduces the risk of Type 2 diabetes and heart disease. Okay, so you have decided to use protein powder for weight loss, but what type should you buy? How exactly does it help me lose weight? 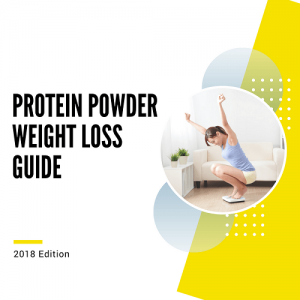 Our ultimate guide to protein powder and weight loss will answer these questions and more. 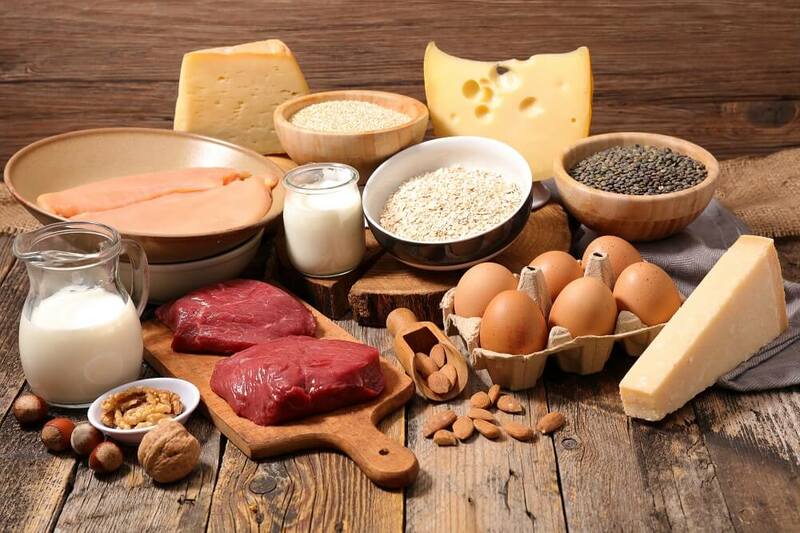 What Is Protein and Where Does It Come From? Protein comes from animals and plants. It is one of the three macronutrients along with fats and carbohydrates. They are called macros due to the requirement by the body to metabolize large amounts each day to remain healthy. 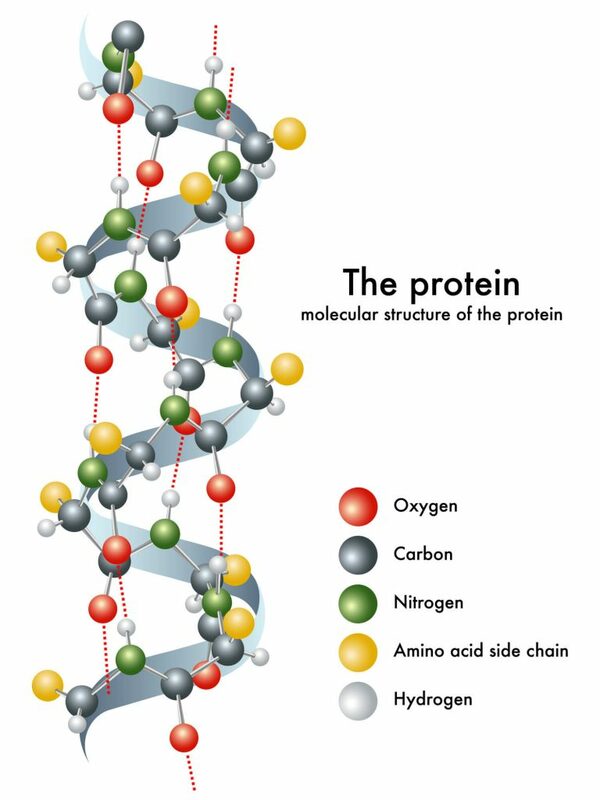 Chemically, protein is comprised of amino acids, carbon, hydrogen, nitrogen, oxygen, and sulphur. About ten are essential and ten non-essential. 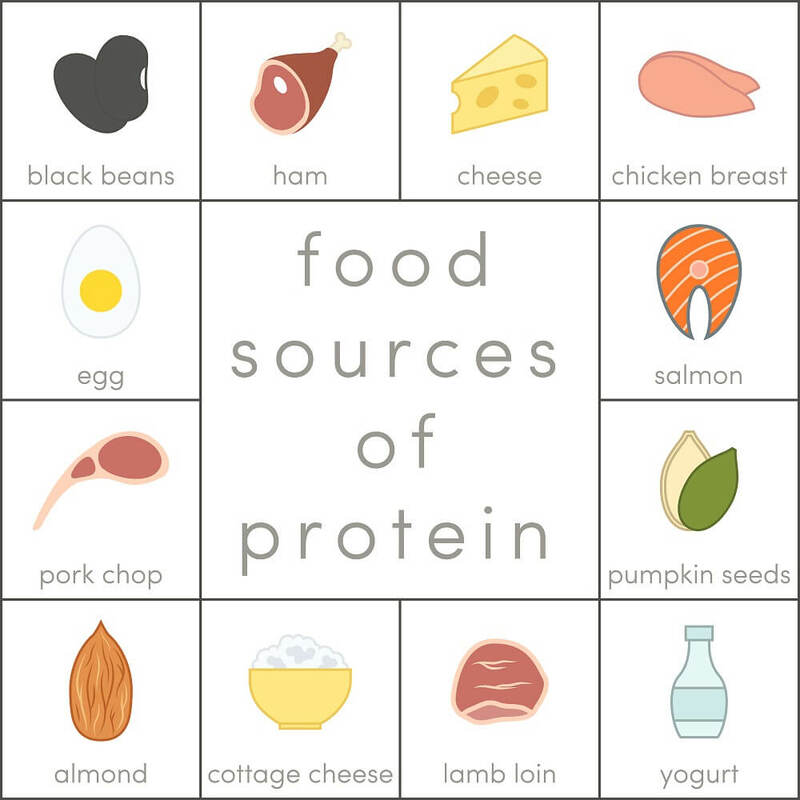 Here are the 4 typical sources of protein. Red meat contains the highest levels of protein of just about any food source. A lean cut of beef has about 31 grams of protein in a 3-ounce serving. Ham and pork contain about 28 grams per 3-ounce serving. Fatter meats contain less. Chicken and turkey contain the same amounts of protein per serving as ham and pork. Oily fish such as tuna or salmon contain around 20g of protein per 100g. Many people know about the protein-rich soy products. One cup of soybeans has 29 grams of protein. Quinoa is another plant-based product very rich in protein, about 8 grams per cup. Beans provide about 15-17 grams per cup. Choosing non-fat egg and dairy products gives you the most protein per serving for dairy for this group. One ounce of non-fat mozzarella provides 9 grams of protein, one ounce of parmesan cheese, ten grams, and one large egg six grams. The most common forms of protein powders are whey, soy, and casein. Whey is water-soluble and hence probably the most popular and easy to use, especially for weight loss. The powder may be a protein concentrate or protein isolate. This refers to the extraction and/or filtration process used. With a concentrate, you get about 80% protein. Isolates undergo an additional filtration process, concentrating the protein to about 90% and more. Many protein powders are fortified with extra vitamins and minerals. What Are the Extras Added to Protein Powder? Protein powder often contains a surprising amount of extra ingredients. Some may have cocoa powder, sweetener, vegetable gum, glycine, flavouring, soy, and more. What Are the Best Protein Powders for Weight Loss? For weight loss, Whey or Casein protein powders are the most popular. Whey Protein – What is Whey Protein? Whey protein is the most popular and the one most often used for weight loss. Whey is derived from milk and is the liquid that separates from curds when making cheese. Although unprocessed whey contains lactose from the milk, the amount of lactose decreases substantially during the manufacturing process. Whey digests efficiently and quickly as it is rich in branch-chain amino acids (BCAAs). Whey helps you lose weight by reducing your appetite, decreasing fat mass, and increasing lean body mass. Whey contains all the essential amino acids for people. Casein Protein – What is Casein Protein? Casein protein is actually a milk protein concentrate which is slow digesting and contains 18 amino acids. Casein, like whey, inhibits your appetite, reduces fat mass, and increases lean body mass. Consuming protein shakes in lieu of a meal provides you with an excellent way to lose weight. If you use this method, you should drink the shakes according to an established diet plan, and in the order recommended. Most protein shake diets have specific meal requirements that complement the use of a shake for one meal. Drinking a shake will reduce your caloric intake while curbing your appetite. The diet plan should have a specific protein powder for each day’s shake based on the nutrient additives in the particular powder. Protein shakes may increase your metabolism, causing your body to burn more calories than it usually would. Combining your protein powder use with strength training can assist in this process since muscle building burns more calories. Something called TEF or the thermic effect of food helps this along. Protein needs a certain number of calories to digest the food, which can increase your metabolism. The body also must use a certain amount of calories to regulate body temperature. The body wastes 20-30% of the protein you ingest during processing. This is another reason eating sufficient protein on a daily basis is essential for good health and in your weight loss program. Using protein powder may help block your body from regaining any fat lost. Protein’s effect on your metabolism, appetite, and muscle mass combine to make it harder for you to recover weight. Most studies indicate that reduction in belly fat results from a combination of general weight loss from using protein shakes, diet, and exercise. If you follow a low carbohydrate diet (e.g. Paleo diet, Atkins diet etc. ), ensuring you have a sufficient protein intake is vital to losing weight in the right places. The additional protein powder helps your body burn fat rather than muscle mass to lose weight. 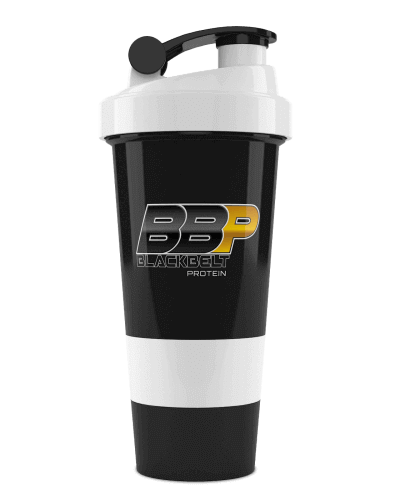 Protein shake is a very convenient alternative to a full meal after a workout. Try it out if you still haven’t! Pay attention to the ingredients in the protein powder. Finding the right supplement with the right combination of fat-burning substances may assist in speeding up your weight loss. Inulin is considered a starch. Since it is a fiber, you will feel fuller longer. Your digestion slows down. Research indicates that inulin promotes symbiotic bacteria, assisting in the absorption of nutrients in the gut. The fiber helps remove toxins too. All this assists with weight management. 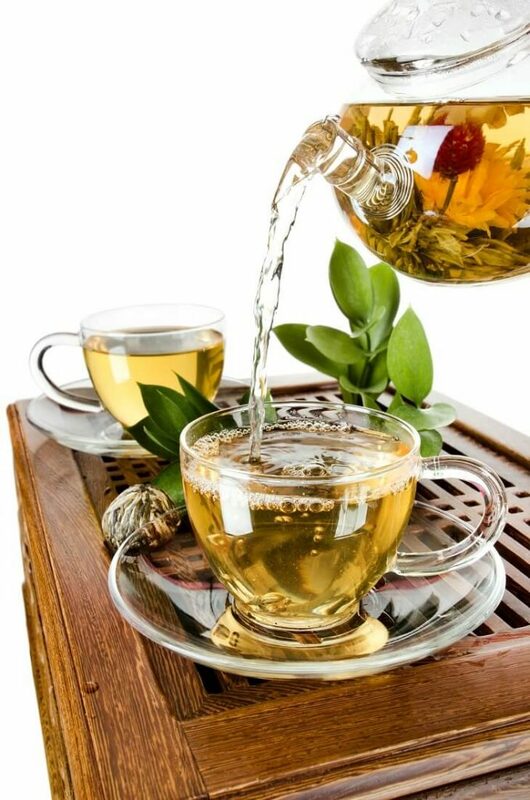 Several studies show that the primary antioxidant in green tea, EGCG, helps boost your metabolism so that weight loss is enhanced when performing even moderate exercise. Macha green tea has three times more EGCG per measurement than regular green tea. Carnitine and acetyl l-carnitine, like the EGCG in Matcha tea, help push your metabolism rates up, so you burn more calories quicker. Specifically, carnitine moves fatty acids from the blood into cells. You need omega 3s in your diet to optimise the effect of the carnitine. When you are overweight, your natural production of acetyl-carnitine is insufficient, so you need to supplement it to achieve the metabolic increase effect. Fresh ginger root is full of nutrients. Ginger root helps with digestion and relieves the bloating caused by some foods. The nutrients will assist you in losing weight without any ill-health effects. Olive oil, best known for its heart benefits, also will help you lose weight. Its healthy fat content promotes a feeling of fullness that helps keep your appetite under control. Quinoa is known as a super nutrient food. It has a variety of uses. The high fiber content along with protein and complex carbohydrates makes it the perfect food to help control cravings and help you eat less during a meal. Glucomannan comes from the konjac root. The konjac root is a fiber, and it absorbs large amounts of water, making you feel full and curbing your appetite. Glucomannan also helps to slow down the absorption of carbohydrates, leveling insulin levels and balancing triglycerides. This enables you to keep your body in balance. If you are trying to lose weight, not eating enough protein can make you lose the wrong type of weight. Your body can become depleted of the right amino acids, and instead of losing fat you may start to lose muscle mass. While you may drop some pounds, keeping it off may be more difficult. When you add ingredients with high sugar contents, you negate the healthy effects of the protein powder additive. Instead, you find yourself loading up on sugar and increasing your body’s fat content. Use low-fat ingredients to add to the protein powder. Additives like kale, flaxseeds, unsweetened coconut milk add flavor without the calories. Just because a shake package mix states, the ingredients are “all natural” does not necessarily mean the sweeteners used are healthy. Look for artificial sweetener, sucralose (its brand name is Splenda) in your list of ingredients because it is derived from real sugar molecules. Only a little is required to sweeten protein powders because it is 600 times sweeter than granulated sugar. 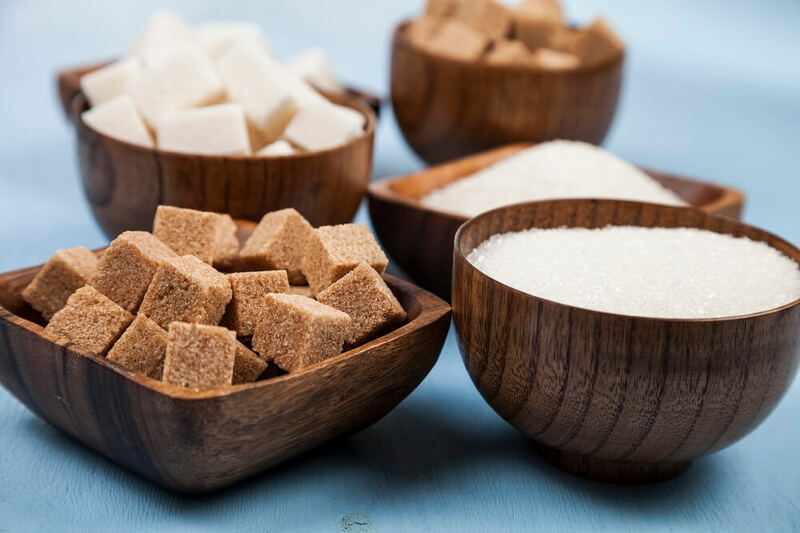 Sucralose is different from other artificial sweeteners because it is digested without being metabolized or degraded and therefore contains no calories. Less than 15% of the sucralose is ingested by the body. The rest is excreted in your urine. Sucralose has been used in food products since the 1990s in more than 30 countries and is approved as a safe product by the National Food Authority of Australia. Adding too much fruit to protein shakes can diminish its effectiveness. This can overload your body with fructose, blocking or slowing down the weight loss effects. Remember that not all proteins have the same weight-loss effect. Whey and casein work but avoid soy and other proteins that do not have the same appetite-curbing and nutrition-absorbing efficiencies. Making a rich, creamy protein shake to help improve the taste often merely increases the calorie count. This is a common mistake. Concentrate on making your shake healthy. A few healthy additives to improve the taste is fine, just don’t overdo it. Remember, one of the healthiest additives is pure, fresh water. You should always read the ingredient label of your protein powder. In addition to sugars and other potentially unhealthy ingredients, you may find other materials that interfere with your weight loss diet and exercise program. You need 7-9 hours of sleep each night to control cortisol levels. Cortisol relates to stress. High cortisol levels relate to weight gain. Caffeine can help slightly curb weight gain. You need to balance the added cup of coffee and your body’s reaction to caffeine with the modest effect of losing weight the additional caffeine has. Most consider green tea one of the safest substances that can help you burn fat and lose weight. The caffeine along with the EGCG and antioxidants assist your body with keeping your weight under control. 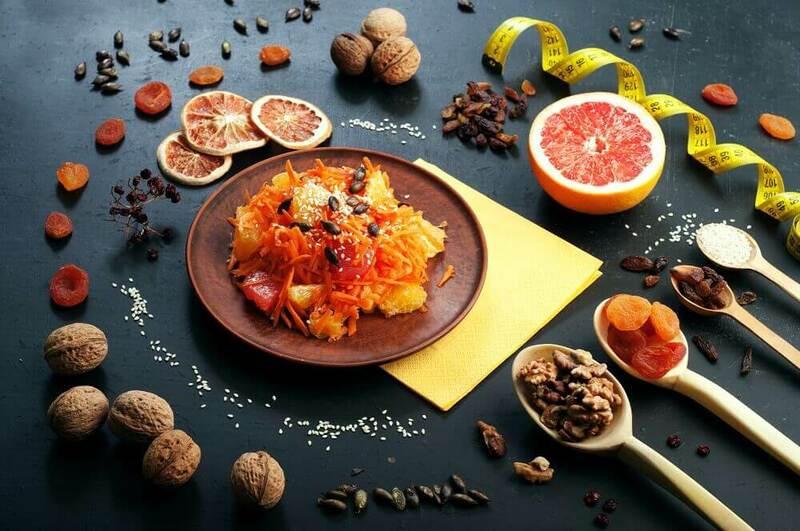 Studies indicate that the active ingredient in grapefruit essential oil helps increase your metabolism. Your cravings for food are reduced, and the enzymes in the oil helps break down sugars more efficiently than without it. When you try to do several things at once, you tend to increase your stress levels substantially. This can lead to subconscious overeating or over snacking. Your mind is not entirely focused, and you tend to just eat without thinking. Adding more fat-burning foods to your diet provides you with a natural way to increase your daily dosage without relying on extra supplements. The right foods provide you with additional fiber, antioxidants, and other healthy dietary additions to assist with your weight loss program. Cherries contain high levels of antioxidants. Cherries also help your body increase production of melatonin, which can help you sleep better. Coconut Oil assists you to not only burn fat but also improves your digestion and absorption of nutrients. Some studies indicate that your food cravings diminish with regular coconut oil use. Sweet Potatoes are slow carbs. You feel fuller and have more energy due to the extra time it takes for slow carbs to digest compared to other foods. Dark Chocolate – not all sweets are necessarily bad for you, such as dark chocolate. Eating dark chocolate in moderation increases the body’s production of butyrate, a polyphenolic compound. Butyrate is a fatty acid that helps your body burn fat for fuel instead of muscle. If you eat dark chocolate along with fruit, the fruit increases the rate of fermentation and release of the butyrate. Look for dark chocolate with cocoa contents above 80% for best results. Fibre – healthy fiber like flaxseeds, fresh vegetables, and certain berries digest slowly. This means your body will feel like it is full quicker. Fibre absorbs water well also, which improves your processing of glucose. Probiotics – adding the proper bacteria or probiotics to your system provide you with several benefits to help with your weight loss program. This type of bacteria stays in your gastrointestinal tract. Some of the benefits of weight loss of probiotics include better appetite control and more efficient storage of fats. Chromium – you can get more chromium from things like apple cider vinegar, cayenne pepper, cinnamon, and dandelion. Moderate intakes of Chromium from eating these foodstuffs help increase metabolism and prevent muscle breakdown. Chili Peppers (For the Fist Course). Studies have indicated that by eating spicy soup or a spicy first course can curb your appetite. The right spice, such as chili pepper, helps speed up your metabolism. Since the course is hot, you tend to eat slower which also improves your digestion. Green Tea – sipping on tea during the day will help keep your food cravings in check. Drinking green tea amplifies the effects further. By using whey protein along with a strength training regimen, you can help prevent age-related muscle loss. 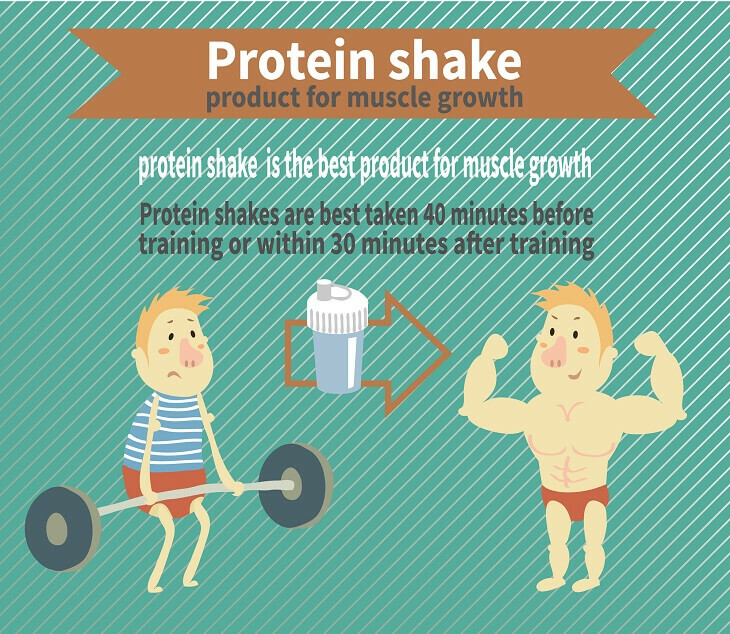 Using whey protein increases muscle mass and helps tone the body better compared to casein or soy protein. The symptoms of Type 2 Diabetes include a high blood sugar count and an impaired ability of the body to produce insulin. Whey protein helps moderate your blood sugar levels, increasing insulin levels. The amino acids in whey protein include one called tryptophan. This amino acid stimulates your body to release serotonin, helping to calm and relax you, lowering stress levels. Many studies have found that dairy products lower high blood pressure. The lacktokinins in whey protein may help with people with hypertension get their blood pressure under control. C-reactive protein (CRP) is one of the markers in the body for inflammation. Taking ample dosages of whey protein, according to some studies, reduces the amount of C-reactive protein in the blood. Antioxidants provide all sorts of benefits to the body, including protection against infections, cancers and even Alzheimer’s. Whey protein contains significant amounts of antioxidants. Ingesting the powder by mixing it with a liquid of some sort adds to its effectiveness by enabling you to absorb the antioxidants quicker. Many studies have shown that this substance has no real effect on weight loss, but you may see it as an ingredient. The side effects, however, of Garcinia Cambogia reported by many include constipation, abdominal problems, and diarrhea. The U.S. bans this substance in dietary products. Some researchers have reported nausea, vomiting, mood changes, hypertension, and other potentially harmful side effects. Some protein powders use thickeners and gums. These products, made from soy or corn, can cause bloating and gas. 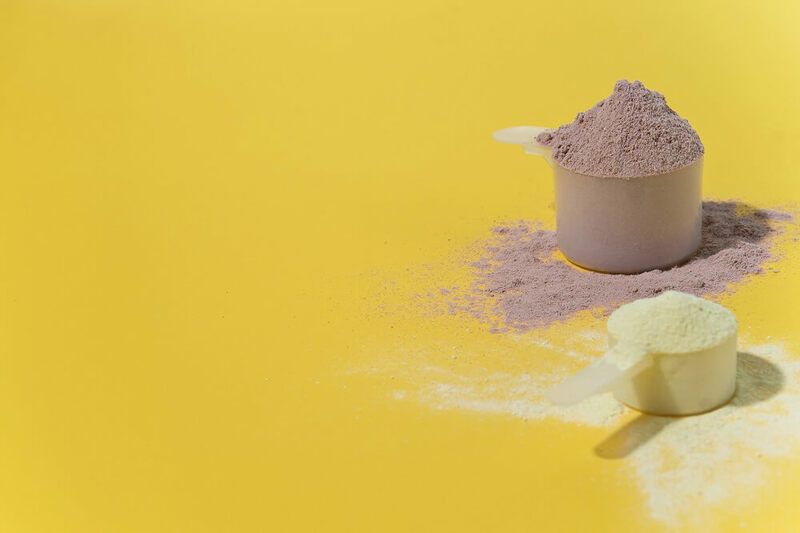 Manufacturers often add fillers to protein powders to increase the weight of the product and save money. Some of the fillers, like coconut flour, can cause constipation or bloating. Greek Yoghurt has double the protein of regular yogurt. The standard type also has four times the amount of fat than other yogurts, so fat-free is your best option when trying to lose weight. The average amount of protein in one serving of Greek yogurt is between 17-20 grams. Lentils contain incredibly high concentrations of protein. You also get the benefit of the high-fiber content in lentils also. One cup of cooked lentils provides about 18 grams of protein. You can substitute casein protein powder for whey protein and obtain virtually the same benefits. Casein has about 10% fewer milk proteins than whey but contains identical amino acids. Casein takes longer to digest than whey protein, but the effects are the same. The dairy calcium in casein helps with skeletal growth also. Egg whites provide a significant amount of protein per serving. Egg white protein powder has 24 grams of protein per scoop, which is more than some whey protein powders contain. Low-fat cottage cheese has plenty of protein. An average serving of around 4 ½ ounces has about 14 grams of casein protein. 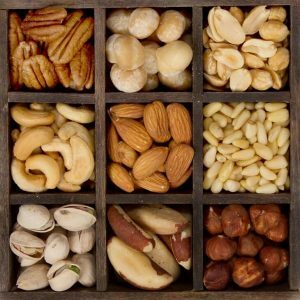 Eating nuts provides you with many nutrients vital to your health, including protein. One ounce of almonds has 6 grams of protein, along with fiber, calcium, and vitamin E. In case you are wondering which nuts contain most protein…almonds and brazil nuts, with 21g and 14g per 100g respectively. Hemp protein is another type of protein for those that don’t like to eat meat. Hemp comes from the Sativa plant and is used in textile manufacture. One scoop of hemp powder has about 15 grams of protein in it. Eating Salmon or tuna provide you with an excellent source of protein. One hundred grams of oily fish has around 20 grams of protein in it. An additional benefit of oily fish is the deficient levels of saturated fats compared to the levels in protein-rich red meats. On top of that they have a nice combination of very healthy Omega-3 fatty acids and a better Omega-3/Omega-6 ratio (unless you use grass-fed meat). Brown rice protein has per serving almost the exact same amount of protein that you find in whey powder, 24 grams. Brown rice makes an excellent protein source for people who are lactose intolerant or have an allergy to soy or gluten. Brown rice is also very low in fat. Tim Ferriss has one of the most influential podcasts on the internet, with close to 200 million downloads. He is considered a lifestyle guru and has written several New York Times bestsellers. His fitness and health podcasts and videos extol the virtues of several supplements he uses in his daily diet, including protein powders. One of Tim’s favourite concoctions for breakfast, if he has a morning workout, combines goat whey protein, collagen hydrolysate, and super beets. Part of his popularity on the web is not only the exciting combinations he showcases but his humorous and always insightful delivery. He drinks his breakfast goat whey protein mix with tea whenever he has a morning workout to help him burn calories faster and increase his metabolism. Rising young actor Michael B. Jordan has received a lot of attention due to his ripped physique exhibited as the star of the boxing movie Creed. Michael attributes his success in getting into shape for the film to diet, notably the increase in lean protein from egg whites, brown rice, and fish. He spent nine months eating six meals a day, mainly eating a meal between takes when filming the movie. His typical protein ingestions for a day included six egg whites, two protein shakes, and 24 ounces of lean meat (ground turkey or chicken). The Kardashians have created a cult following due to their early entry into what became one of the most popular television genres: reality TV. Everything Kim Kardashian says or does becomes the subject of numerous articles, podcasts, news reports, or twitter commentary, including her diets. Her loss of sixty pounds using the Atkins Diet gave a lot of free publicity to the famous high-protein, low carb way to lose weight. She claims she and her husband, Kanye West, are always on different diets. Kayne includes a lot of the weight reduction foods in his diet, like almonds, low-fat yogurt, avocados, and berries. His protein intake is less traditional, including roast beef, caramelized onion wraps, and tzatziki chicken flatbreads. Nevertheless, his eclectic dieting habits, combined with a strict exercise routine, allowed him to shed 30 pounds.